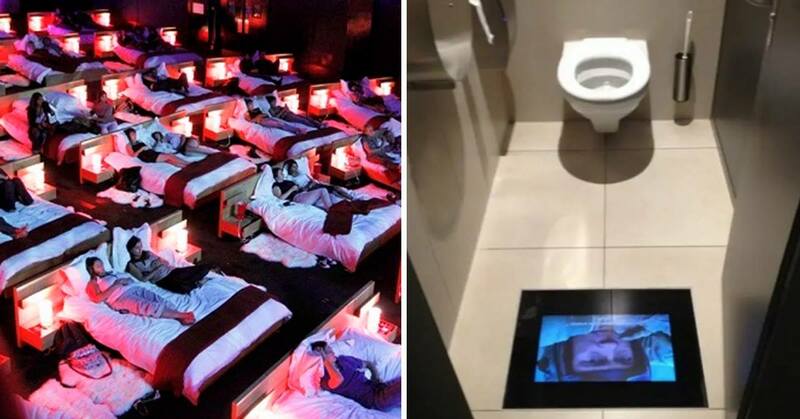 20 Movie Theaters That Are Doing EVERYTHING Right! So, not only has it made those films very special to me, but it also made me realise how great a trip the cinema was! 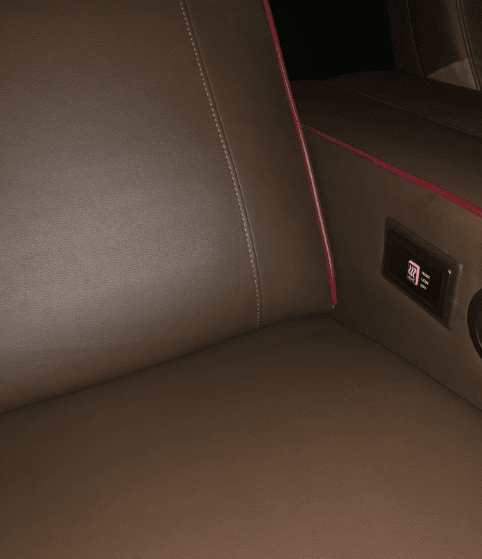 Sure, the seats weren’t always comfortable and it always somehow reaches the temperate of hell’s deathly kitchen in there…not to mention the price of the snacks! But somehow, the whole experience just makes all that worth it…and somehow, it wouldn’t be right if we didn’t pay a month’s salary for a cold, limp hot dog, would it? 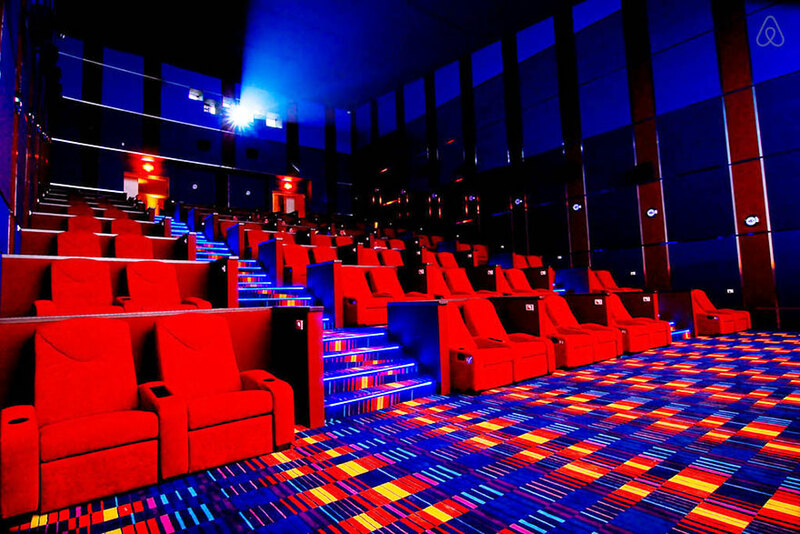 However, cinemas are moving with the times and are constantly upping their game! 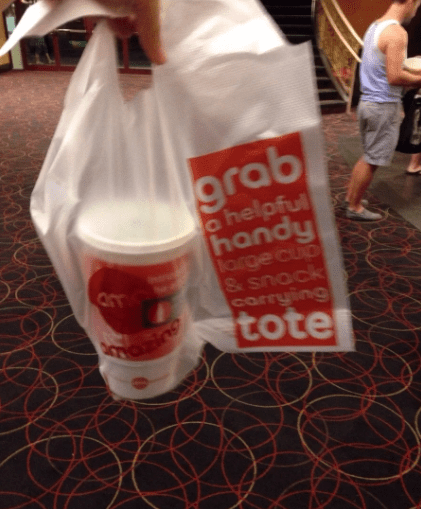 As the next 20 cinemas (that seem to be already living in the year 3000) are proving…going to the movies is levelling up, big time! I’m sorry, but THIS, this is fantastic!! What a brilliant idea! I have the bladder the size of a Terry’s Chocolate Orange and I’m sick of missing chunks of the film through needing a tiddle every 10 minutes! So, this is wonderful for me! 2. 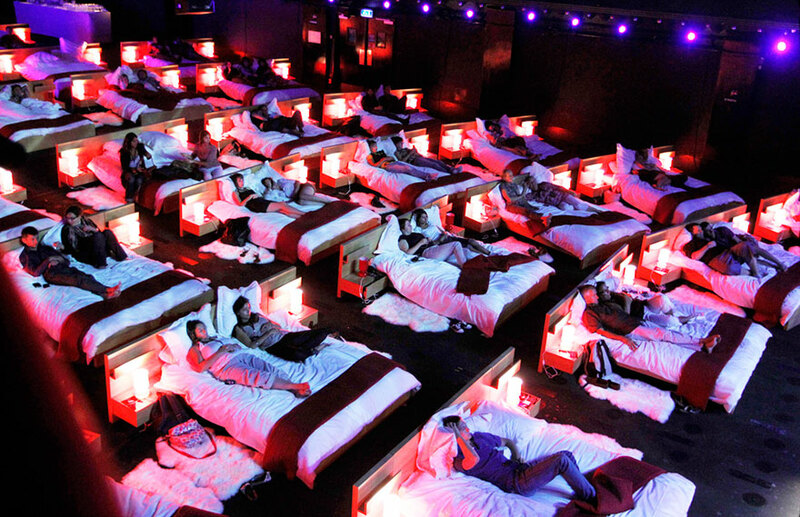 This cinema in France has HUGE BEDS!! Come on, guys!? How could anyone find anything WRONG with this cinema experience!? I’d probably never leave, to be honest, I wonder how much rent they’d charge!? Imagine this on a cold winter’s day!? I’d probably go and watch any ol’ sh*te to be honest if it meant I could go and toast my frozen bum! 4. 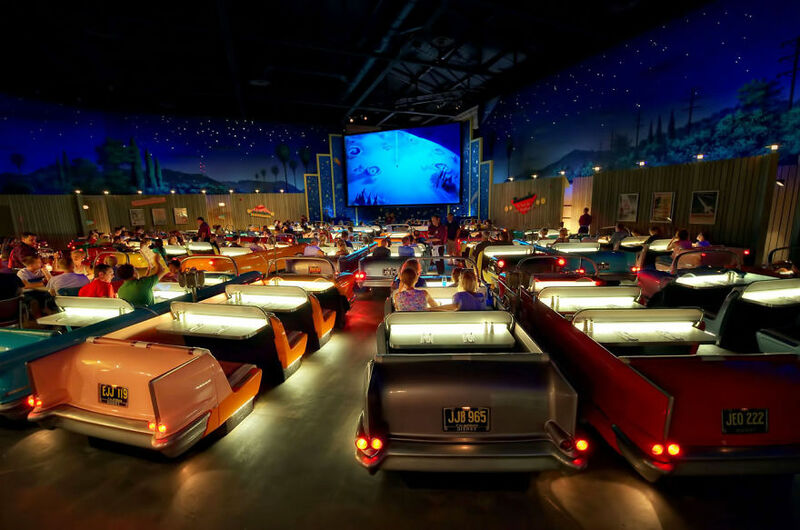 How about a night at this cool dine- in Cinema!? Located at Disney’s Hollywood studios, this stunning cinema is the stuff of dreams! AND you get your food brought to you! I couldn’t think of anything better! 5. 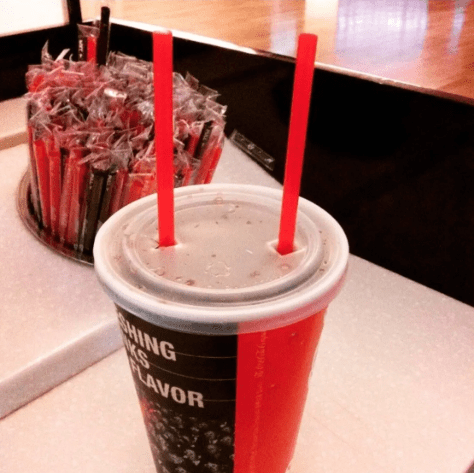 You even get two straws at this place! Perfect for sharing with a friend or for just being your usual, greedy, fat self, when you can’t get the sugary liquid into your gullet fast enough and you end up finishing your drink before the film even starts! I’m game for that, always! Well, this place is certainly doing all the aesthetics right, isn’t it?! It’s absolutely beautiful! 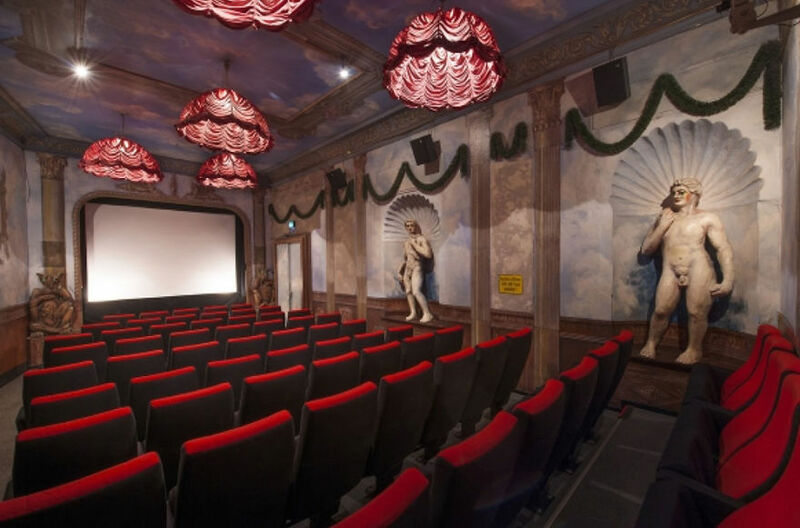 Imagine going to see the latest blockbuster in such lavish surroundings!? I’d feel terrible for spilling my popcorn in there, I know that! 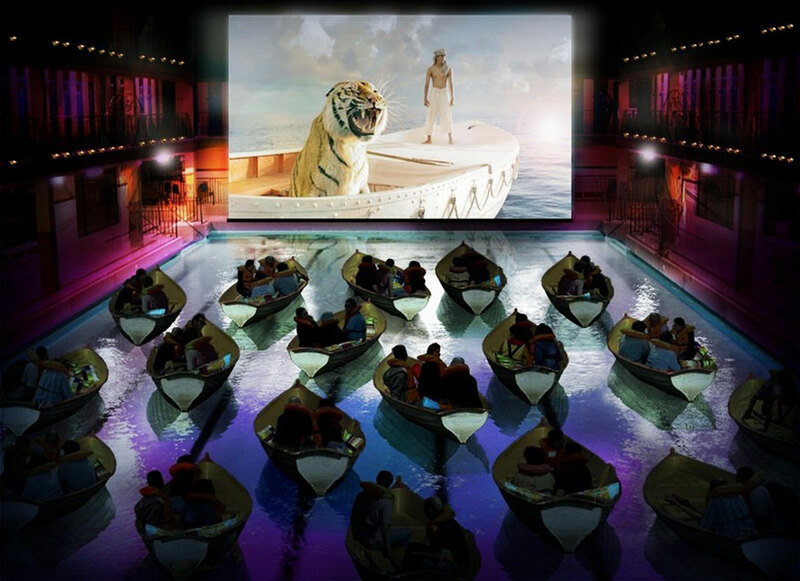 Paris, you’re definitely doing EVERYTHING right with your cinema game! Another dreamy, stunning movie experience. 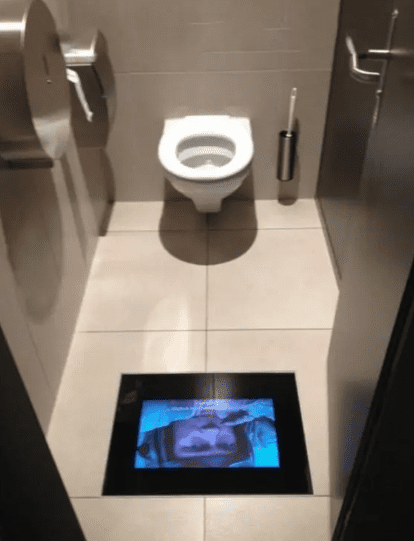 You wouldn’t really care what you were watching in here, would you!? 9. 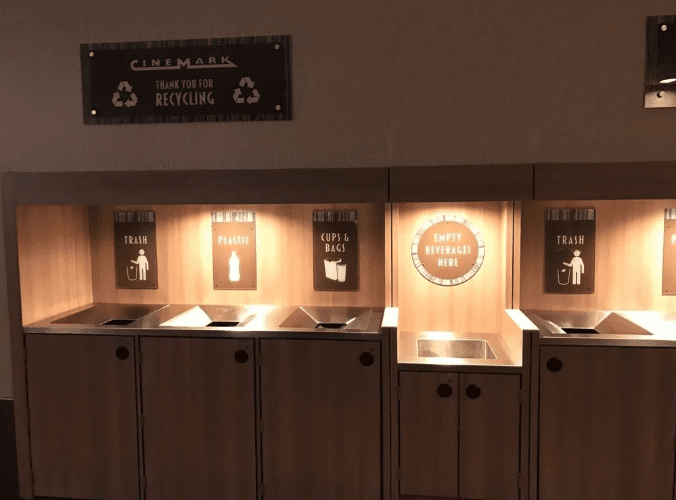 You can even recycle your unwanted soda in this one! Not just the container, but the ACTUAL soda. Let’s just hope they’re not recycling it in the literal sense…yuk! How cosy is this!? I’d probably end up falling asleep! You’d feel like you were in some kind of gorgeous, grand, county house sitting room! 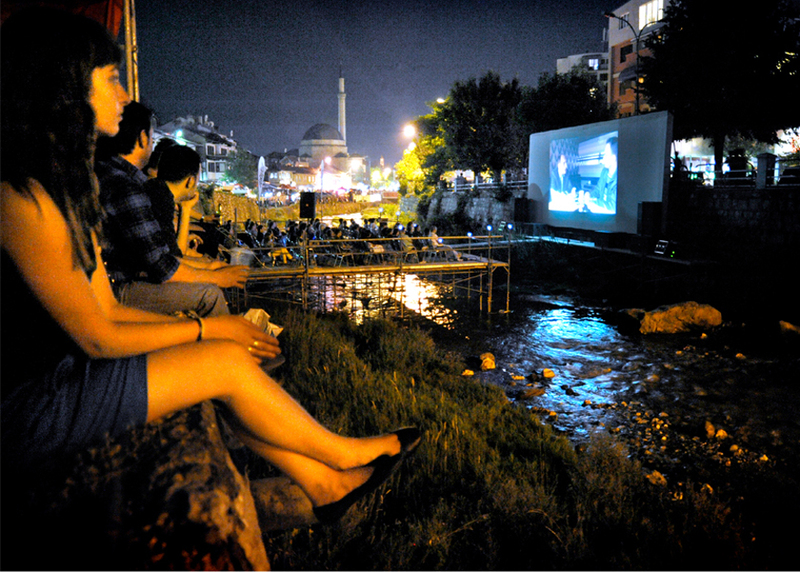 It’s the perfect setting for a Whisky on the rocks with your new fave film! 11. 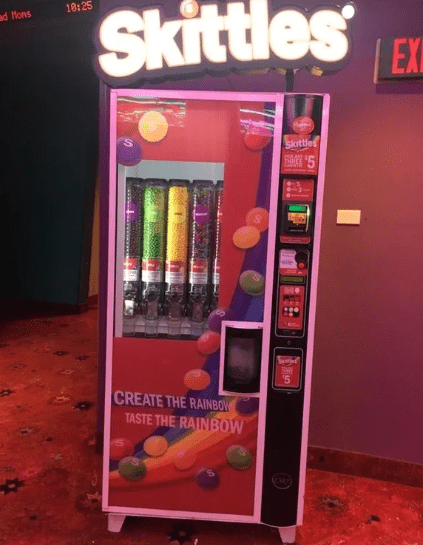 Every cinema needs one of these! You mean a special, calm place away from the bored kids, the obnoxious talking teenagers and the noisy eaters!? Yeah, I’m definitely down for that! Want to watch the latest Hollywood smash AND feel like a fairy at the same time!? Well then, you better get your wannabe fae as* over to Kosovo! Pronto! 13. Well, this is handy! How many times have you nearly gone ar*e over face down the stairs in the cinema, whilst trying to find your seat AND carrying $80 worth of snacks in the pitch dark!? 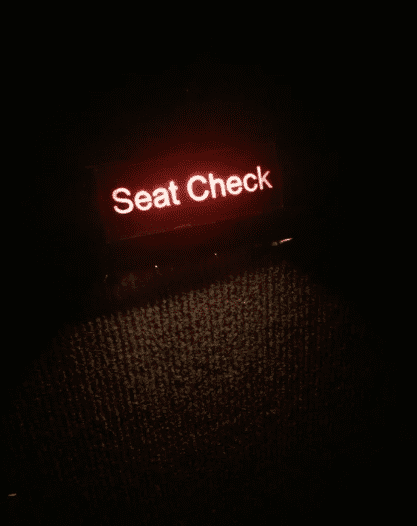 Well, no more wrong seat embarrassments or fatal snack accidents here! 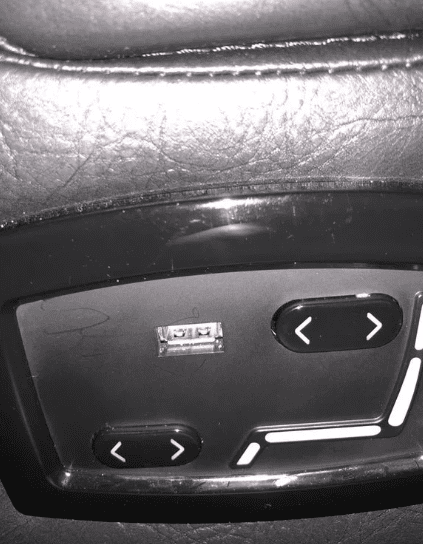 Because it checks your seat for you! I love how most people aren’t even LOOKING at the screen, here! They’re too busy enjoying their hot tub and booze! Oh well, you can’t blame them really, can you!? 15. This one can tote your noms! How convenient is this!? No more horrendous spillage related accidents! & Even if you do, it’ll all be contained in one handy tote bag! Brilliant idea! Wow, this is so pretty and space age! My only concern would be that the stunning surroundings would be too way distracting! But it would be totally worth it! You can charge it as long as you keep it quiet, I’m guessing! This is a brilliant idea! Anywhere where you can charge your phone for free is doing everything right in my opinion! 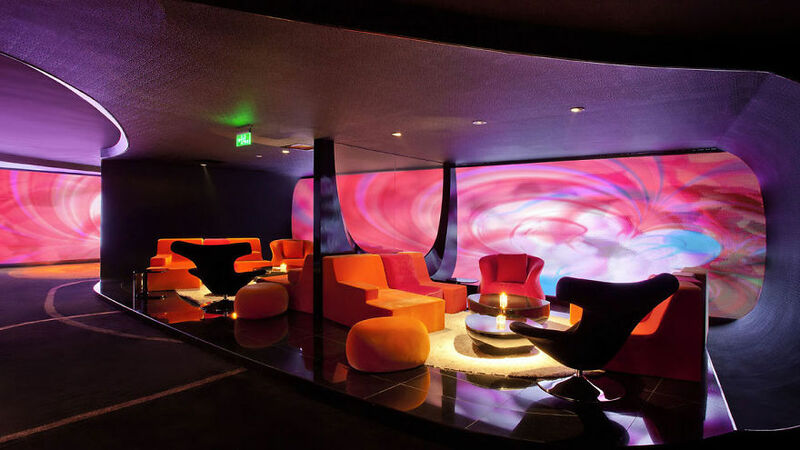 Wow, swanky 80’s bar, much!? This is literally my idea of heaven. Watch films AND feel like you’ve gone back to the ’80s! Take me there, right now! 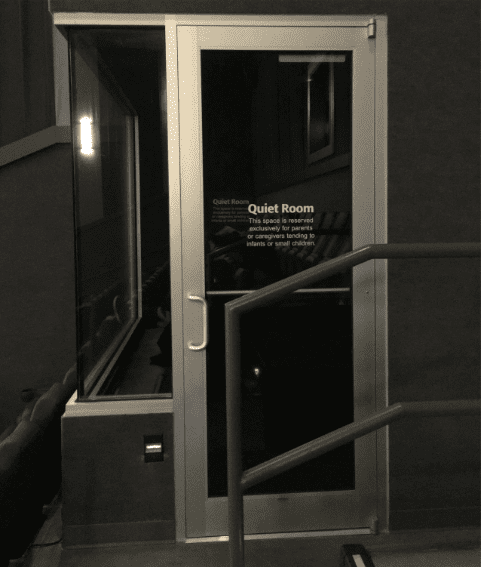 If anywhere makes you yearn to be able to take your legs off and put them away to one side, it’s the movie theater! It’s so hard to know what to do with them and where to put them! 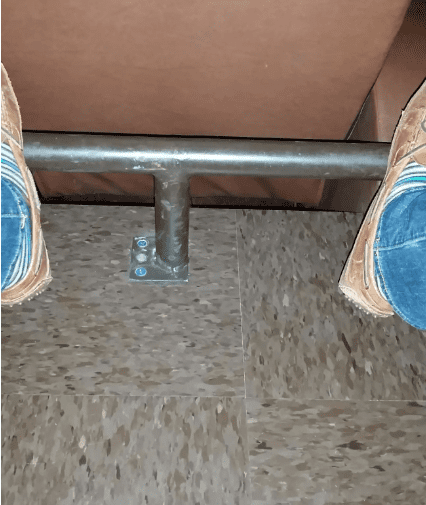 Well, this awesome place has all that solved with the wonderful footrest idea! This looks absolutely amazing! 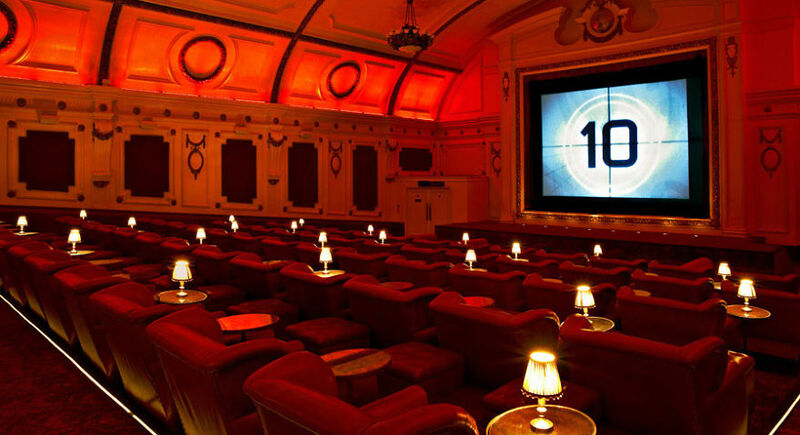 How arty and posh would you feel watching your movie here!? Although I can imagine watching the latest Marvel blockbuster here would feel a bit odd…it wouldn’t really suit the atmosphere, would it!? I bet it’s reserved for only the swankiest of films!